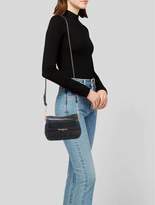 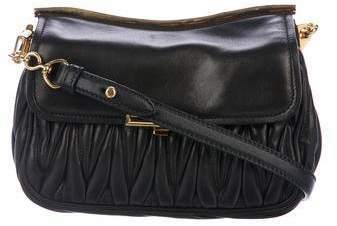 Brown Matelassé leather Crossbody bag with gold-tone hardware, black leather trim, single flat shoulder strap, black satin interior, single pocket at interior wall with snap closure, single card slot, and push-lock closure at front flap. 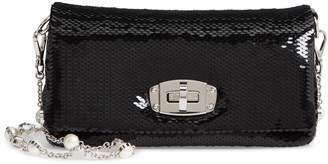 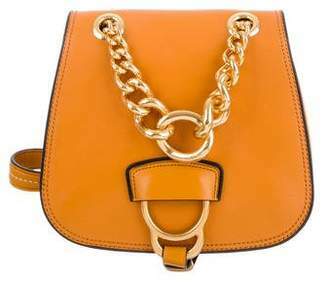 Includes dust bag and additional chain-link shoulder strap. 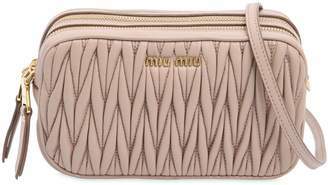 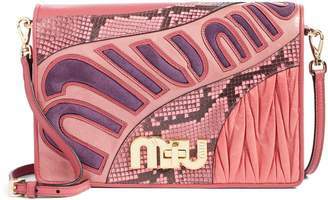 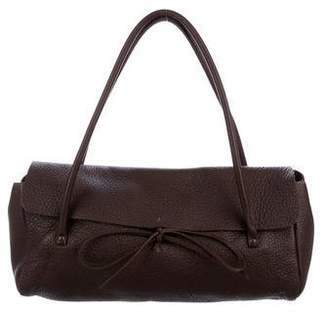 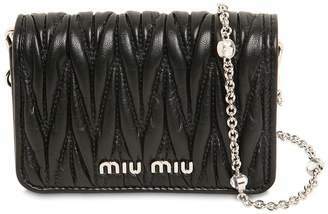 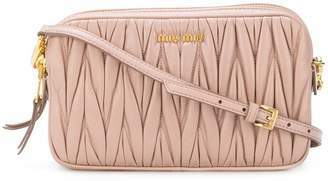 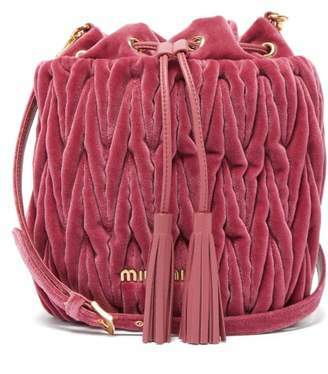 Shop Miu Miu new and pre-owned handbags at The RealReal.